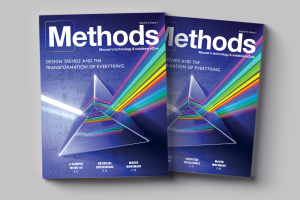 February 8, 2019 – Mouser Electronics, Inc., the New Product Introduction (NPI) leader empowering innovation, announces the newest issue of its Methods technology and solutions eZine. The first issue of volume three, Design Trends and the Transformation of Everything, looks at transformative technologies such as 5G, augmented reality (AR), autonomous vehicles, and more, with articles penned by thought leaders and subject-matter experts. The new issue is framed by a foreword by Sam George, Director of Microsoft Azure IoT Engineering, in which he offers a high-level overview of the technologies discussed in later articles. 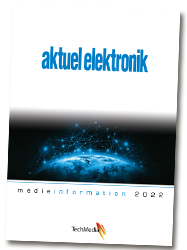 While focusing on a wide range of transformational design trends, the issue features multiple articles on issues relevant to the Internet of Things (IoT), including practical applications in industrial IoT, a survey of IoT development kits, and IoT contributions to sustainable engineering. 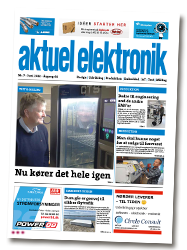 The new issue also includes an interview about MicroPython with Ladyada and a piece by “Wizard of Make” Bob Martin on innovation to productization. Rounding out the issue is a look at what’s after Moore’s Law. In addition to the Methods eZine, Mouser offers many resources for design engineers and buyers, including blogs and eBooks. Mouser’s Applications and Technologies sites offer exclusive design resources, white papers, videos, and product information, enabling design engineers to reach new heights in product development and innovation. 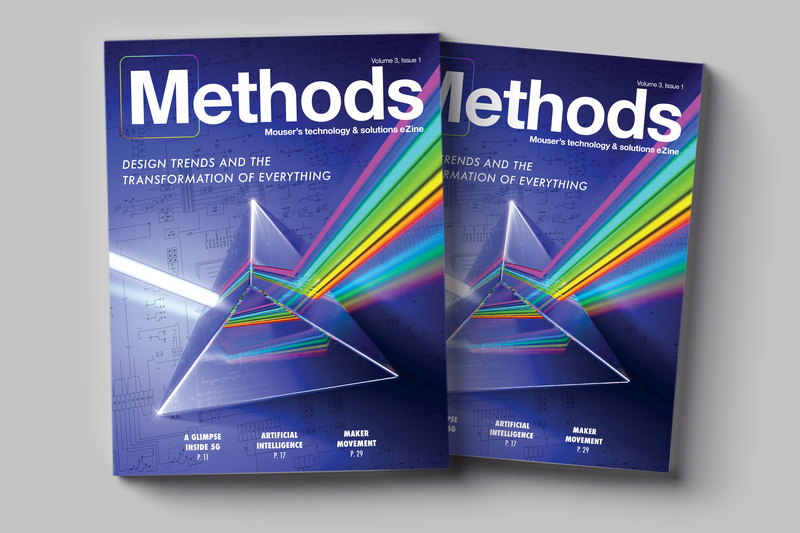 To sign up to read all issues of Methods, including the first issue of volume three, go to eng.info.mouser.com/methods-ezine.